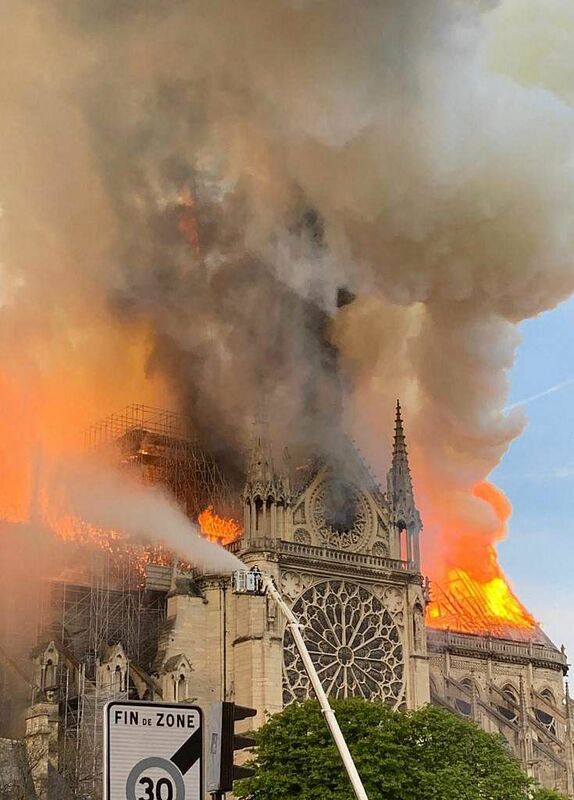 PARIS: A colossal fire swept through the famed Notre-Dame Cathedral in central Paris on Monday, causing a spire to collapse and raising fears over the future of the nearly millenium old building and its precious artworks. The flames and smoke plumed from the spire and roof of the cathedral, visited by millions of people a year. 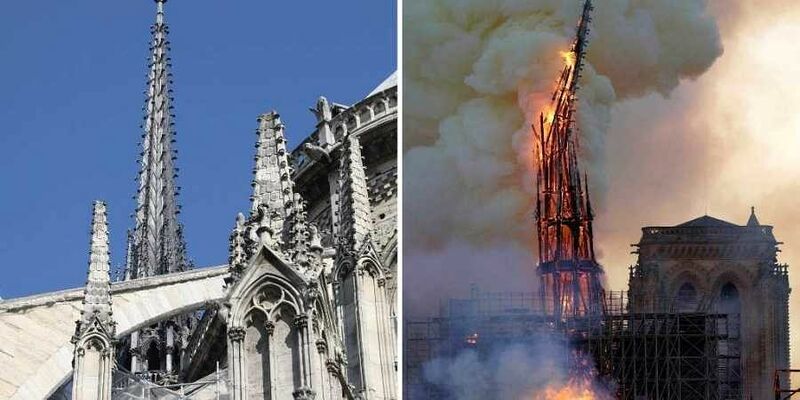 Deputy Paris mayor Emmanuel Gregoire told BFM TV the spire "collapsed inwards" and that workers were scrambling "to save all the artworks that can be saved." at Notre-Dame Cathedral in Paris on April 15, 2019. 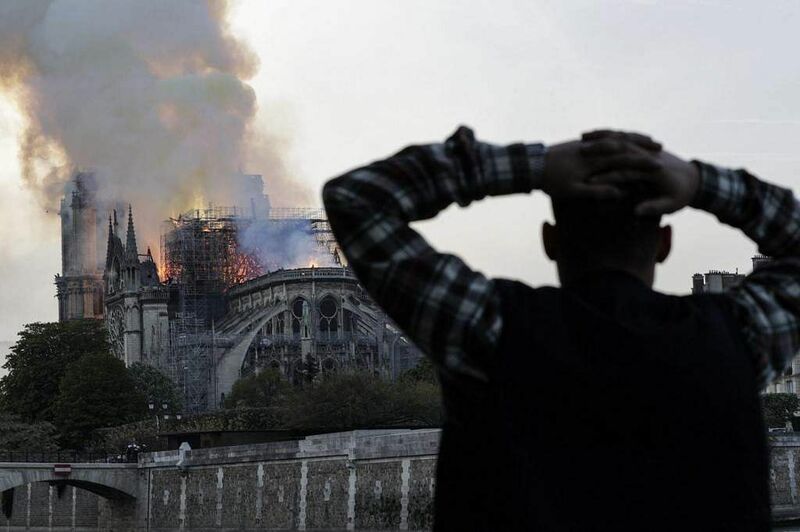 "Everything is burning," the spokesman for Notre Dame, Andre Finot, told AFP. The fire service said the blaze could be "potentially linked" to ongoing renovations. He was to head to the scene in person, the Elysee announced. In a tweet he expressed the "emotion of a whole nation" on seeing Notre-Dame ablaze. German Chancellor Angela Merkel called Notre-Dame cathedral a "symbol of European culture" as the blaze raged. Paris mayor Anne Hidalgo in a tweet described it as a "terrible fire". There was no immediate indication of any casualties in the blaze. "The Paris fire service is trying to control the flames," Hidalgo wrote on Twitter, asking residents to respect the security cordon thrown up around the site.